Quality time with the family and friends starts here! Hammock spots, dipping holes, and a trout-stocked stream make Reyes Creek Campground an ideal hideaway for your restless and weary soul. 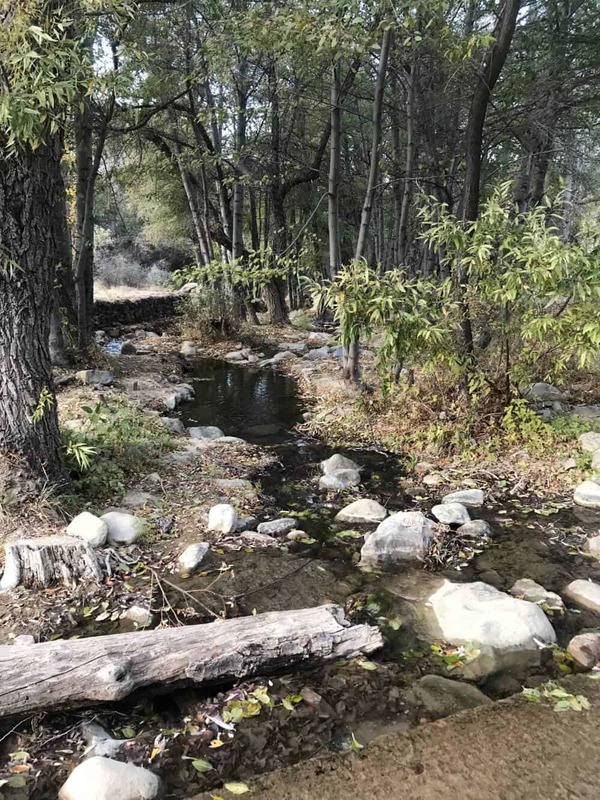 Located in the Sespe wilderness alongside Reyes Creek, a short distance from the historic site of the old ranch adobe known as Rancho Encino, you will find renewal and replenishment, Reyes Creek-style. 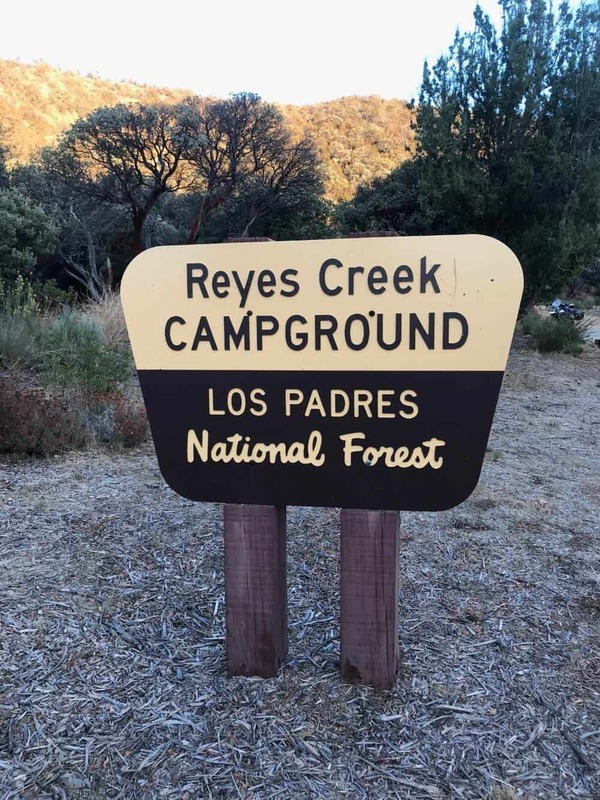 Reyes Creek Campground is located in Ventura County at the southern terminus of the Reyes Creek Road (7N11), approximately five miles east of Highway 33 in the Ozena Valley area. The campground sits at approximately 3,900 feet. It is located adjacent to a small community of Camp Scheideck. Reyes Creek flows year round through the campground and is periodically stocked with fish. Surrounding vegetation consists of willow and other riparian vegetation along Reyes Creek and oak trees, pinyon pine, scrub oak, smaller brush and shrub species away from the riparian areas. The campground consists of 26 family units each with a picnic table and stove or fire ring. The interior campground road and parking spurs are paved. One double vault, accessible SST-type toilet is located near the entrance to the campground and the group camping area and two double-riser concrete block vault toilet structures in the main portion of the campground south of the creek crossing. A group camping area is located near the entrance to the campground. New concrete facilities were installed in the group area in the fall 2009. They include one fire pit, one large double barbeque, one serving table, and four picnic tables. Water is not available, but remnants of the old water system still remain. There are five trash bins dispersed throughout the campground. An accessible fishing pier platform is located on the creek just north of the crossing. Facilities include an accessible parking area and pathway. 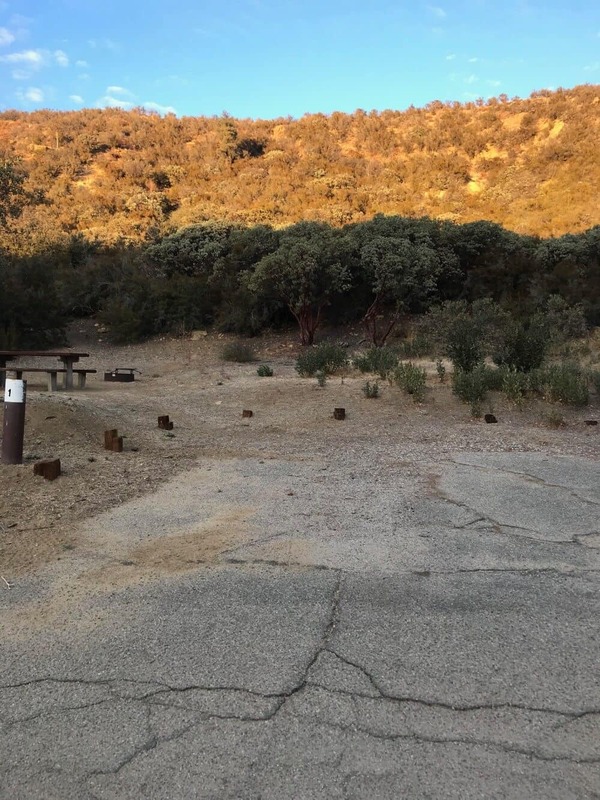 The trailhead for the Gene Marshal-Piedra Blanca National Recreation Trail (23W02) accessing the Sespe Wilderness is located adjacent to the campground but is not a part of this offering. difficult angles into the campsites. Trail Hiking, fishing, swimming, Group camping, mountain biking. hunting, horseback riding, nature viewing, and recreational mining are favored activities. Day trips to higher elevation snow play in the winter is also enjoyed. This Campground is a "Campfire Use Site." Campfires are normally permitted year around without a California Campfire Use Permit. 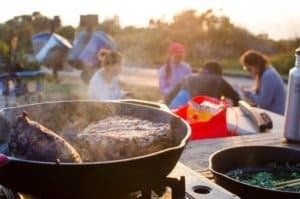 Under some conditions, wood fires and barbecues may be prohibited in all areas of the national forest. Fires at Campground are only permitted in fire rings provided by the Forest Service. 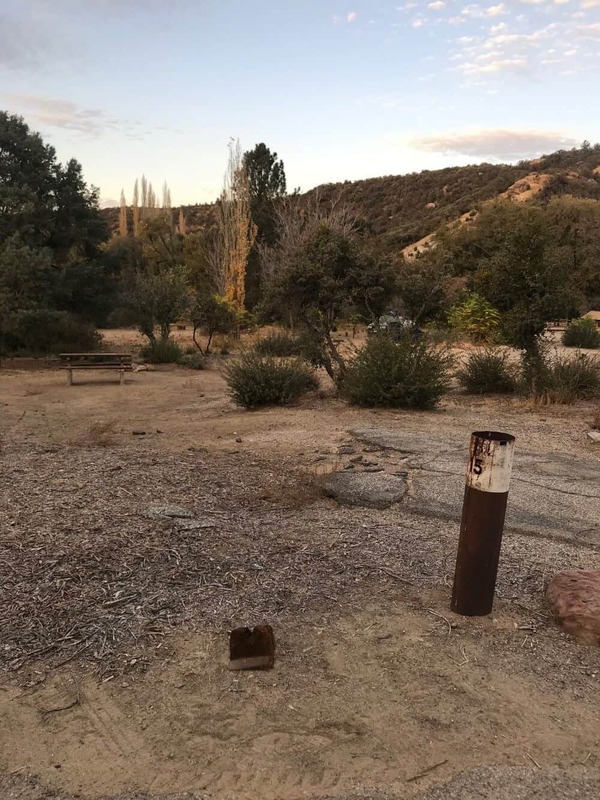 Located south of Ozena Valley, this campground provides access to the Sespe Wilderness via the Reyes Creek Trail linking to the Piedra Blanc National Recreation Trail. This site is the trailhead for Gene Marshall-Piedra Blanca National Recreation Area ideal for Hiking or Mountain Biking.